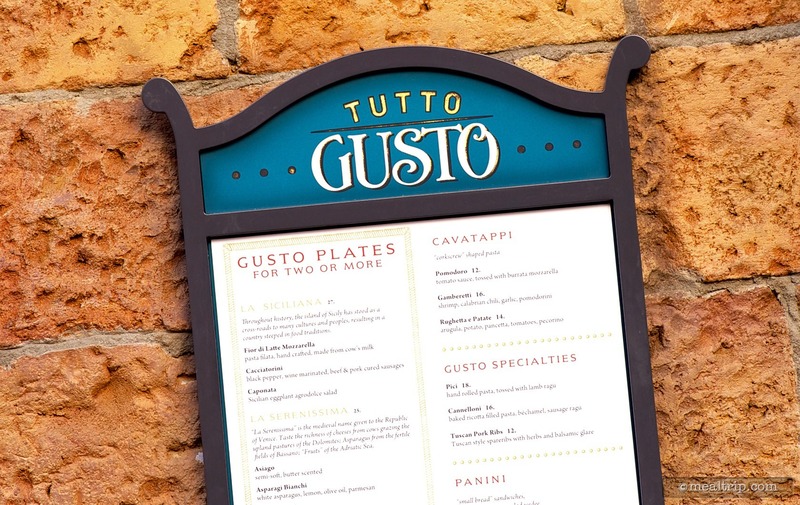 The Tutto Gusto Wine Cellar listing is a Lounge or Bar dining location at Epcot featuring Italian, Wine, Beer, Spirits or Beverage-based cuisine. There are 3 photos in the Mealtrip photo gallery for this location and dining period. 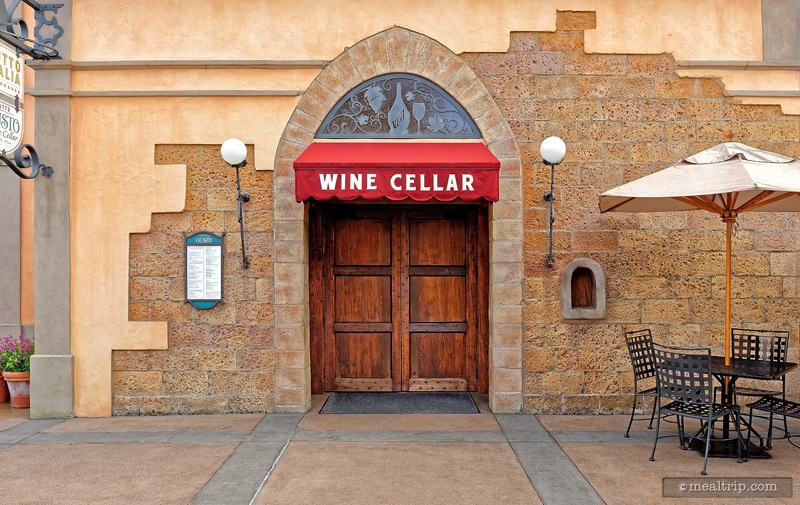 The Tutto Gusto Wine Cellar listing currently has a score of out of 100. Click here to read all of the reviews for this location, or log in to Mealtrip.com to add your own review for Tutto Gusto Wine Cellar. Menu outside the Totto Gusto Wine Cellar. Inside these doors are over 200 bottles of Italian wines. 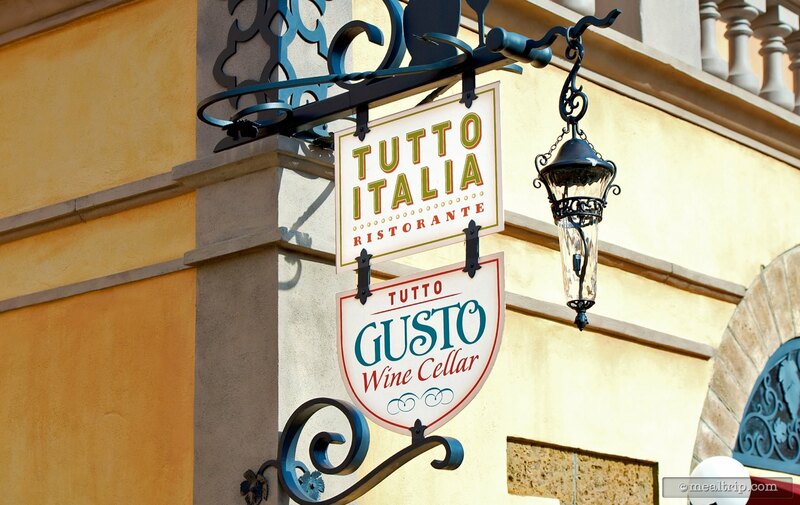 This is the main entrance to the Tutto Gusto Wine Cellar in Epcot's Italy Pavilion. 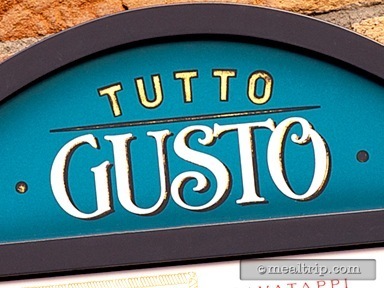 The Tutto Italia Ristorante and Tutto Gusto share the same building. These signs appear on the corner of the building, just past the Campanile di San Marco model.